Try looking at the registries, or use the structure dissect tool on a base address in a registry; but in the end there's now magic trick to it. You just have to find a way to tell the 2 apart. You can try backtracing the function to find a better spot to hook it. You can do the CE tutorial (step 9) for an example. Sorry must have missed your post. Like Betcha showed, you never set EAX in the "hero" code. 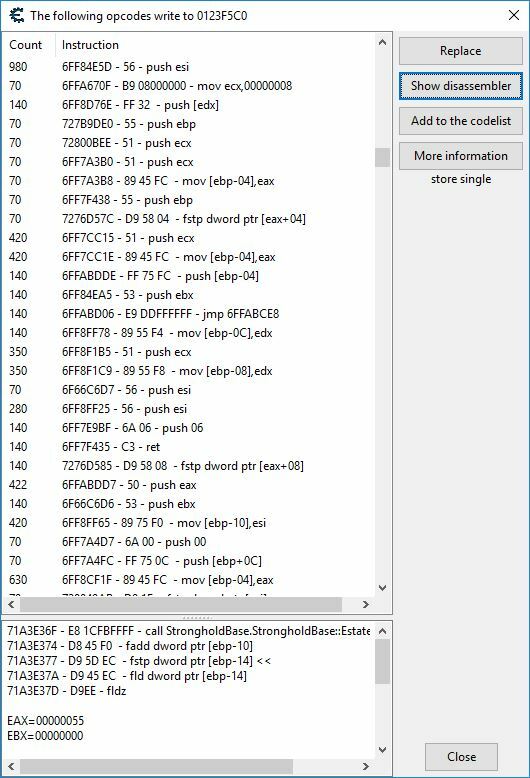 That's probably the reason for the crash, make sure to always set all registories that the original code sets. If you mean "offset", then you can use readMem or reassemble to deal with stuff like that. But you might want to find a different instruction that writes, so you can just set the registry that's used before it writes to your value. No, they're a bit too basic to make a tutorial just for them. The reassemble shouldn't be too hard to figure out. Did you look at the wiki pages? What do you not understand, that you need a tutorial? You should really take the time to learn some basics of programming, like reading documentation for one. And reversing requires you to figure stuff like this out, without documentation. And readMem just reads bytes, tell it where and how many. But again, you can just find an instruction that writes to the address and inject before it (so you don't need to have the offset in the script) and set the registry that's used to write to the value. But you had 2 different calls to alloc for some reason, and you used reassemble but you also hard coded the original code; thus you set ECX from ECX+?? then tried to set ECX from ECX+78 again and that's where it was probably crashing. And you tend to need to read back the original bytes when disabling, if the bytes are changing (like the offsets). But this is a read instruction so your going to have a hard time setting it here, if the offsets are changing. 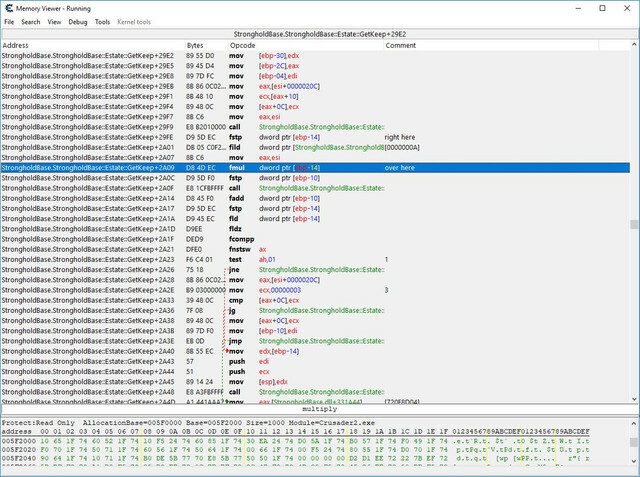 But if the offsets are changing then how on earth is that AOB working?